In addition to helping cash flow, our Blanket Order Program (or stock and release) provides protection from price increases during the life of the blanket. We can work together with you to create a blanket that is most advantageous for your business and production needs. For many of our products we will hold a certain amount of stock for a specified period of time. Your items will be ready to ship on your schedule. Product will be invoiced as released. Maximum time period for a blanket order is six months. Contact sales or customer service for in-stock products eligible for the Blanket Order Program. We will buy and warehouse non-stock items specifically for you. 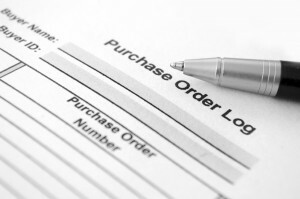 With your purchase order, we will keep your goods in inventory, packaged to your specs and ready to ship on your schedule. Product will be invoiced as released. Maximum time period for a blanket order is six months. The six month period begins once the goods have arrived in our warehouse. At the end of the agreed upon time period all remaining stock on the blanket will be shipped and invoiced. Contact our Sales and Customer Service team at sales@tnwebbing.com or 800-390-4894 to begin the process. Submit a P.O. specifying the product, quantity needed, shipping address and the agreed upon end date of the blanket. This will initiate the order. At the end of the agreed upon time period all remaining stock on the blanket will be shipped and invoiced. Contact your customer service representative when you want to place your first order against your blanket.